Today, Google unveiled a new hardware device and competitor to Amazon Echo, a portable speaker powered by voice assistance technology called Google Home. The device was widely rumored to have been in development under the codename “Chirp,” and the final product name was recently confirmed by The New York Times. Like Echo, Google Home will also include a virtual assistant you interact with via voice. Unveiled earlier today, Google Assistant is a bit of a rebranding of its Google Now voice search feature. However, the new feature who is able to answer questions and have two-way conversations, and perform tasks like playing music, interact with smart home devices including Nest thermostats, and more. These tasks will include things like ordering flowers or checking flights. 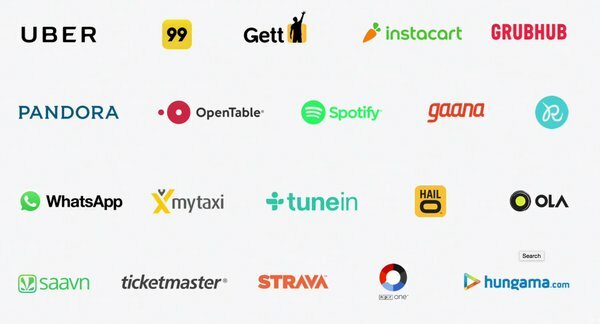 A list of launch partners whose services will work with Google Home include a number of notable names, like Uber, Pandora, Spotify, OpenTable, Gett, Instacart, Grubhub, Mytaxi, TuneIn, HailO, WhatsApp, Saavn, Ticketmaster, and more. The Wi-Fi speaker will stream music and podcasts from the cloud, or you can send music to the speaker via Google Cast. That means that it won’t be limited to Google Play Music, but should also support other services, like Spotify. The speaker lets you customize the base with a variety of colors to match the home’s style, and includes LED lights, speaker, and mic. That’s a nice feature for those not happy with the aesthetics of Amazon’s all-black Echo. 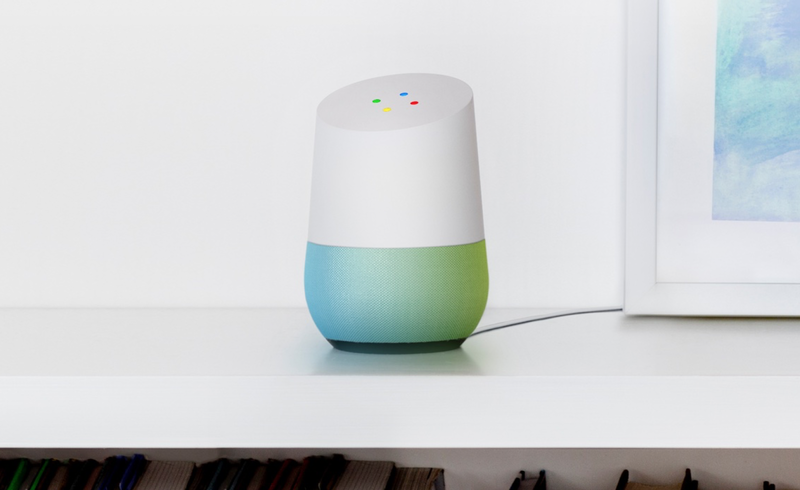 Google today has some of the best speech recognition technology in the business, but it had yet to take full advantage of that in a consumer home gadget. Its Nest thermostats have voice features, but not the sales momentum to become truly mainstream. What’s unclear, however, is if consumers are uninterested in smart thermostats in general – perhaps perceiving them as more of a luxury device – or if they’re hesitant to invite Google into their homes. The Google Home device may answer that question, as it’s the first time Google has made a real effort at bringing its suite of services into people’s homes. While it has launched other consumer gadgets – the ill-fated Nexus Q media player, its Android TV platform which runs on OEM hardware, Google Cast (previously Chromecast), the OnHub router, and so on – none have presented Google as a virtual assistant that can help you with various life tasks.